Very vigorous, and prolific variety. 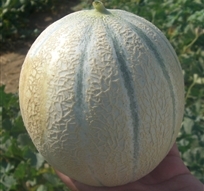 The round, heavily netted fruits, with medium deep sutures, average 2.5 - 3.5 Kg in weight. 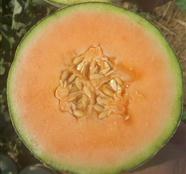 The high brix flesh, bright orange in color, has a distinctive sweet and delicious flavor. Charlotte F1 has an extremely tight seed cavity, rendering it an excellent shipper.